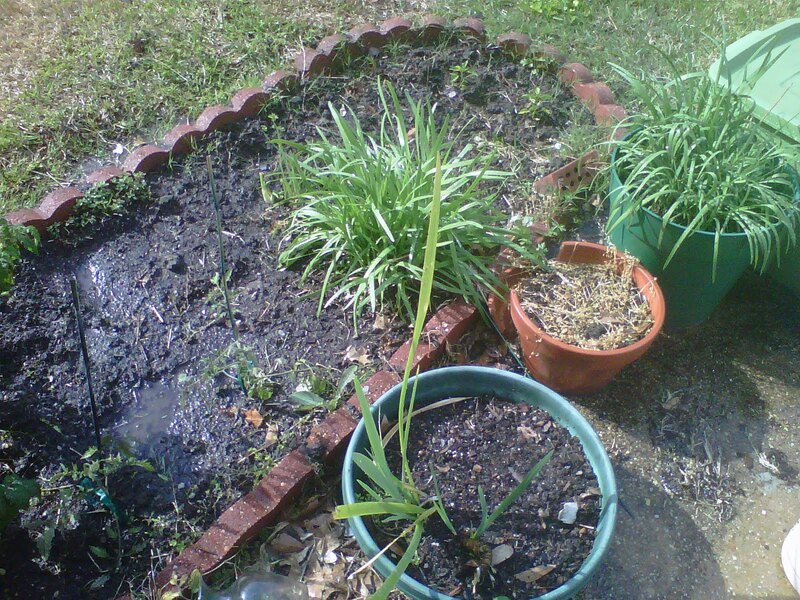 The Southern Vegetarian Chronicles: Garden Time! I am sooooo happy that the weather has finally started to break and I can go outside without a jacket during the day and work on my garden. 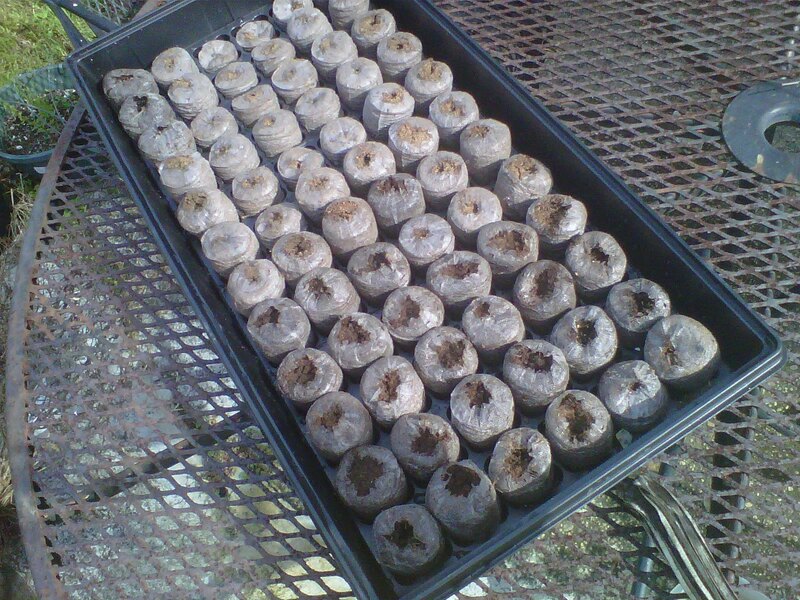 Right now I only have roma tomatoes, and bell peppers in the ground. My parsley reseeded and decided to grow back but has been slow. 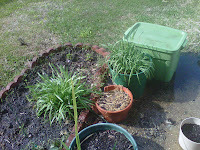 Also my garlic chives are thriving and I have some little seed pods that will sprout soon for my sons banana peppers and for my herbs. Dill, basil, and some more parsley. 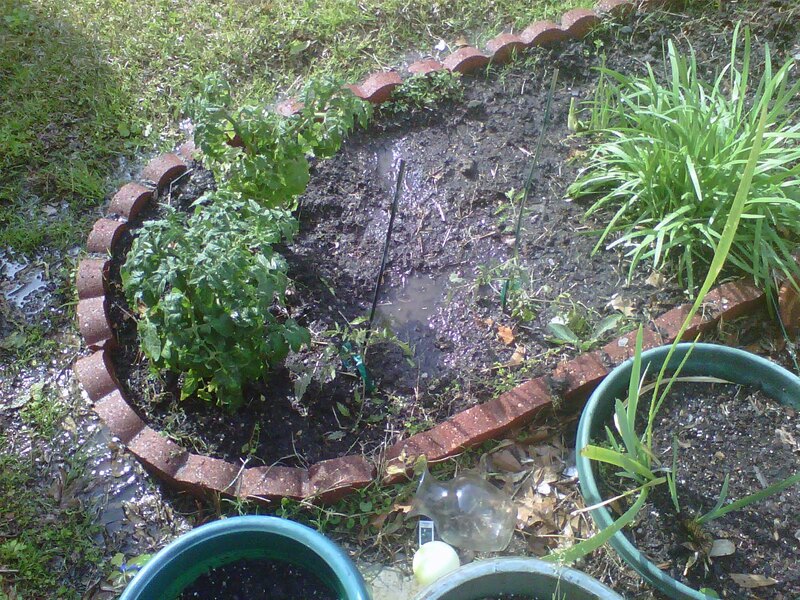 I know it will get a little warm for the parsley eventually, but I have a shady spot for it and other cooler weather herbs. Oh how I love to garden! Putting my hands in the earth is a sort of release for me. 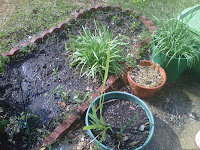 Giving my creative energy to the plants as they grow and provide me and those around me with nourishment. Posted are pictures of the smaller garden that is quick is to get to from the house. 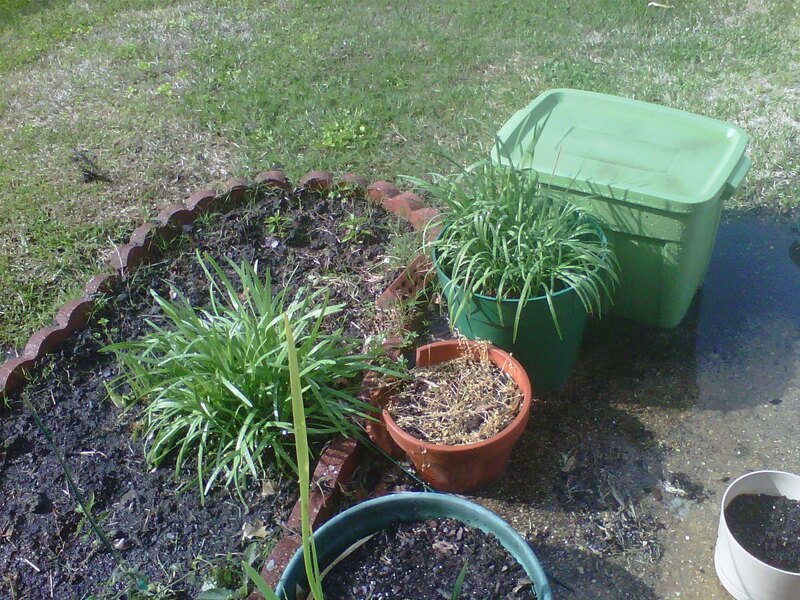 When I begin to work with my Dad on the bigger garden in the yard I will definitely put up pics of that. Also there is a link below to my newest Farmers Market video. The joys of living in a warm climate. YAY! Check out my Farmers Market excursions!